It has been over 10 years, but fans finally will be blessed with a new album from a whole Goodie Mob. The Atlanta-based crew will drop a new, much-delayed album, Age Against The Machine, on June 18. The group’s manager told Fuse TV the good news and informed the network that the group is in the final stages of the projects completion. 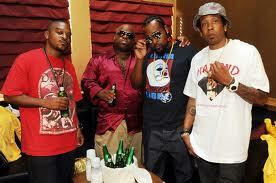 Nine years ago, the group recorded One Monkey Don’t Stop No Show, an album without front man Cee-Lo. Their last album with a complete group was in 1999 with World Party. Cee-Lo’s solo success and subsequent commitments have been the primary reason for the delays with the album.